Background: Yep, big hooray IDW Round 50 is upon us. Big thanks to everyone who ever took part in this 'weekly' activity. For this special round it seemed a good idea to do something special, and since we do not yet have our own avatar and banner like the other activities, that will be the topic. 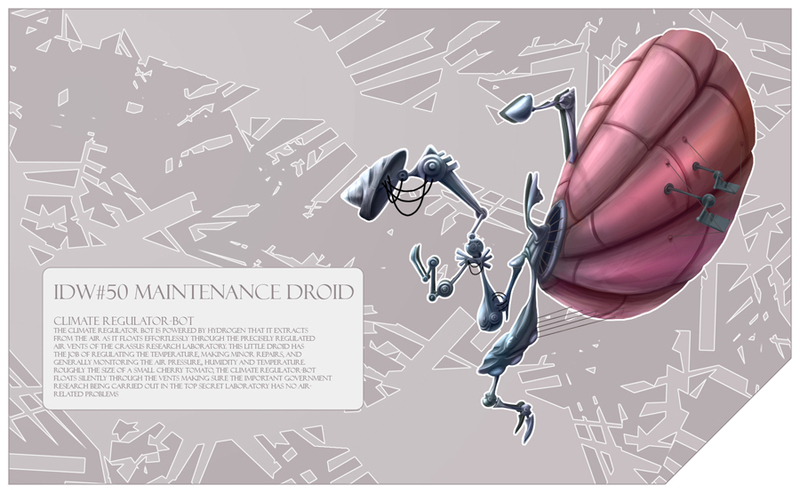 As an avatar for something like Industrial Design of the Week is a bit difficult because most of the topics are quite different from each other, I thought this would be a nice solution: a maintenance droid. It could do well as an avatar and it still represents what we do in this part of the forums. Note that when I write 'Maintenance' Droid I mean a Engineer Droid, Service Droid or Constructor Droid or whatever name you want to give it. Medical Droid is a possibility as well, allthough for Industrial Design I think it is less suited than the other options. There are a few rules though. As I plan to ask the winner to provide me with a version I can work into an avatar and banner, the droid must be on a white background (or any other plain color, but for convenience you should be able to provide me with one on a white bg). If you really need a background I'm not going to stop you but when I turn it into a banner etc. 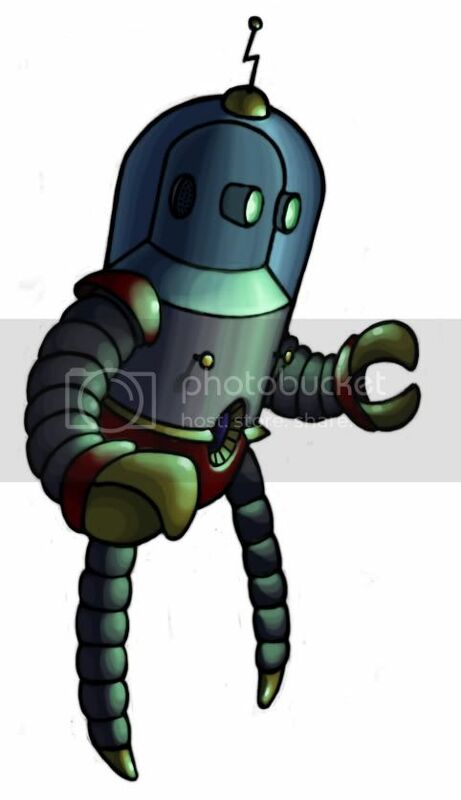 I might want to get rid of it anyway (allthough I have no intention to rip your artwork to pieces, trust me ) For the avatar I think it'd be usefull if the droid has a destinctive 'head' or something else that would work on a small image. 1. 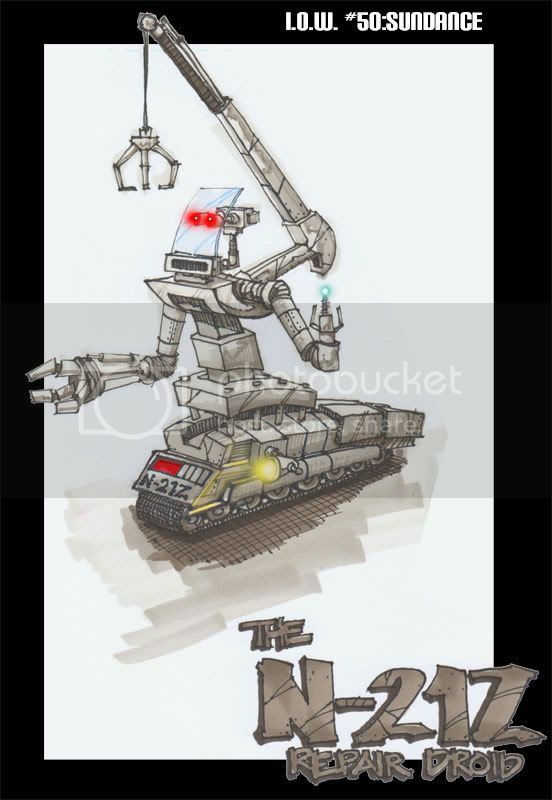 Design the new IDW avatar: a maintenance droid! Deadline: Thursday November 22 2007 - yes, two whole weeks to come up with something stunning! Last edited by yoitisi; November 11th, 2007 at 06:52 PM. Wow, what a great topic! I've only ever been an IDW lurker so looks like this is the time to start! I was kinda hoping that you'll tell us to do 100 (or at least 50) droids like that C.O.W. #100 Festival Boy, wouldn't that be sweet, or what! Last edited by schunnin; November 24th, 2007 at 04:57 PM. "I have no intention to rip your artwork to pieces, thrust me"
I'm in (at least gonna give it a try). Here to mess with the best.Throw crits please. Spitch: Great to have you onboard. Looking forward to the result. "Ryan, that's not a desaturated color." Thought that I'd have a go, I might add colour etc later if i have time. Please let me know if theres anything Ive done wrong in terms of fitting the brief. I've refined this a little bit from before. I'm thinking of leaving it really simple and straightforward to make it read instantly as an old-fashioned droid, but really I just wanted to draw a fun robot for once! This topic was really fun! I enjoyed myself making this drawing more than any else I've done in quite a while. Having two weeks probably helped too (gives us all a chance to sit on what we've done for a bit and come back to it with fresh eyes). Good luck to everyone who entered this theme! Last edited by ScaryPotato; November 20th, 2007 at 12:41 AM. and um... i still have a week before classes are over... right now i have 3 final projects... i'll see what i can do, but i am hosed for time atm... installation pieces take a lot of time! [void]: As far as I can see it is within the guidelines, so go ahead. The only thing I miss is something that screams at me that this is a maintenance droid, but I suppose that will be clearer if you slap on some color . After seeing the last round of IDW, in which 2 out of 4 were basically 3d renderings, this round I will not take 3d images to poll. The reason for this is that initially this activity was meant for Industrial Design drawings and not for 3d renderings. I allowed it a couple of rounds to see if it would work, but I'm still a bit uncertain if we shouldn't keep it drawings only. Therefore I think it would not fit to have an avatar that is not drawn but rendered. Using a 3d model as a guide for perspective etc. is acceptable though, just as long as the model does not become your final entry. Sorry to bring this up a bit late. Last edited by daveneale; November 13th, 2007 at 10:58 AM. Sundance- I really like the 'projected eyes' you got going on here! Verry cool original idea. 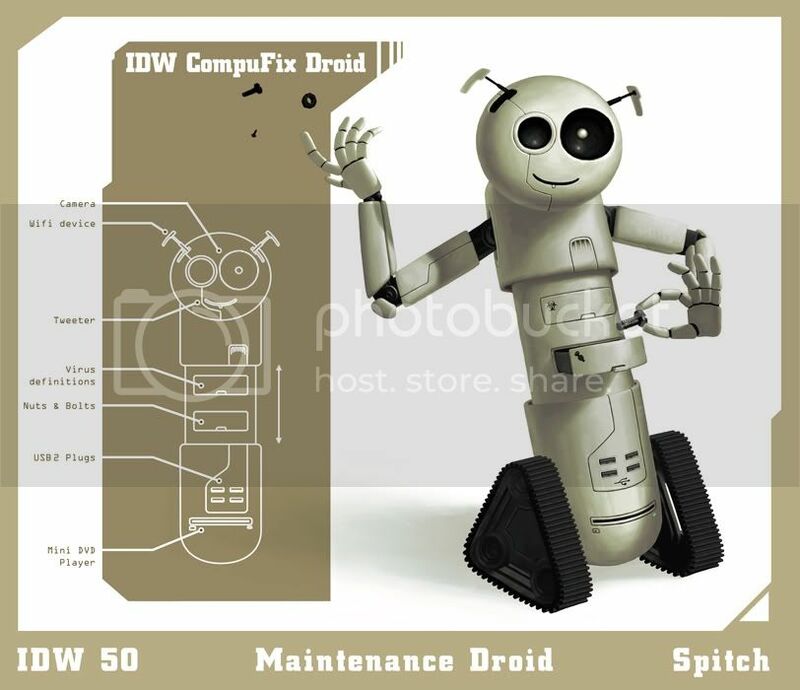 The IDW CompuFix Droid is the ultimate solution for most CA users. This one and half foot tall robot is the solution you always needed. Don't hesitate and order it from your local CA administrator. good stuff spitch...it has awsome character, I like the rendering of the casing/bodywork too, just one small crit though.....the shadow underneath seems off, especially considering the shadows on the droid itself, I think it would really help to ground it if you just paid it a tiny bit more attention. but why buy a droid when you can just buy an apple?! Hi fellows, sorry for having been away last week , I have been having some outstanding matters to take care of but everything seems to be already arranged so no excuses from now on, is time to pay homage to our future avatar. I think the topic is absolutely right. I like it a lot. Last edited by Zutaiola; November 12th, 2007 at 03:57 PM. Spitch - I think the tracks on your image need some work to bring them up to the standard of the rest of the piece. Look a little dark draw the eye too much and loose their detail. Void - looks great, interested to see how it come together and brings out the maintenance aspect. It will be good to see how all the designs come together, looks like it should be a good few entries this round. Knocking ideas about, I thinking about this direction for the moment. I was thinking on long the lines of a 'watch-maker' influence to the robot, whilst trying to keep is humanoid it has a wide range of fine tools with it working through some great machine carefully maintaining and adjusting the machinery. mmmm - just looking at it now I think it need to be redefined to make it more distinct from what has been around before. I'd like to do the best I can for what should be a special round but as 3D work tends to be looked down on I think I should likely stick to a more standard medium. Line work and a bit of colour splashed down. This seems something like a character, I'll try! daveneale like that, really original but, just in case you forgot about that, yoitisi asks for a distinctive head. D-Holme thx for comments, you describe my ideas better than me seriously! except sinister faces part, but I understand what you mean, could have that look. I'm not sure if I understand right, but I think your idea is distinct enough, in fact is the only real humanoid at the moment (I think ScaryPotato's one is more like a classical robot) anyway you have to feel comfortable with your concept, is your choice. a cleaning robot! Isn't it amazing? Last edited by Zutaiola; November 14th, 2007 at 03:30 PM. For the avatar I think it'd be usefull if the droid has a destinctive 'head' or something else that would work on a small image. I was going for the "somthing else"
yoitisi; what do you recon?....I'll add a head if it's necessary? Zutaiola, Daveneale: I deliberately didn't want to narrow the topic down too much, so people could have their own interpretation. There is however the important aspect of it being representative of what we do here. My personal opinion in this matter is that stereotypical droids in this case ain't a bad thing, because it would show at first glance what IDW is all about. If you'd put something like that robotic vacuum cleaner up it would be far less clear. Don't get me wrong, you're free to come up with whatever you think is fitting. The voting will decide what entry becomes the avatar. I'll merely judge on quality and only in severe cases on the idea itself, allthough I don't think that will be necessary. As far as the "head" goes, the same counts: it should be something destinctive that just screams IDW, and be small enough to fit on an avatar and still be recognizable. Note that this doesn't mean it has to be a head as such, but this would be the easiest way to do it I think. ScaryPotato: It isn't necessary for you to come up with the whole banner, as it will also include some basic rules and stuff in the end. This part will be done by me after the selection of the avatar etc. I'd rather have you spend your time on the actual robot. Although I like the logo-kind of idea you've got going on, in my opinion it does not convey all that we do here at IDW. 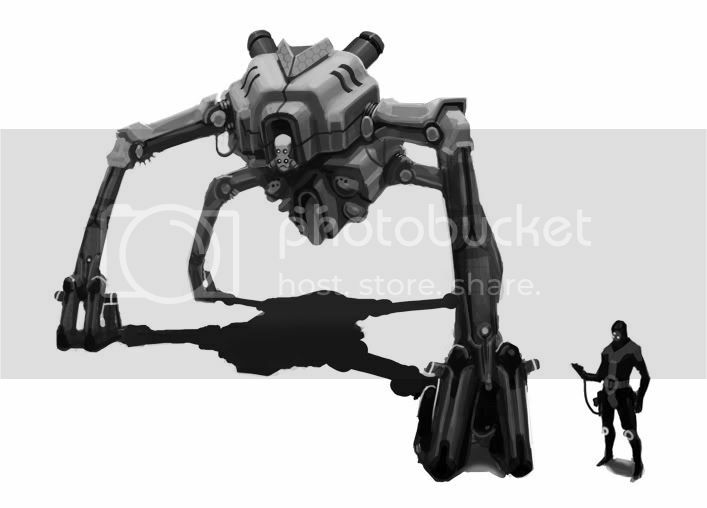 It might be nice to see if you can come up with a full render of the robot you've got. Daveneale: Seeing as there is still a lot of time left, I think you could push it a little further. The main thing I wonder about it it's recognizability as I discussed above. Remember, the final avatar will not be shown with the name of the topic besides it so the drawing itself will have to explain it here. Last edited by yoitisi; November 14th, 2007 at 06:14 PM. I just was trying to make a joke an bring some good mood, I'm not sure if anybody understood that. 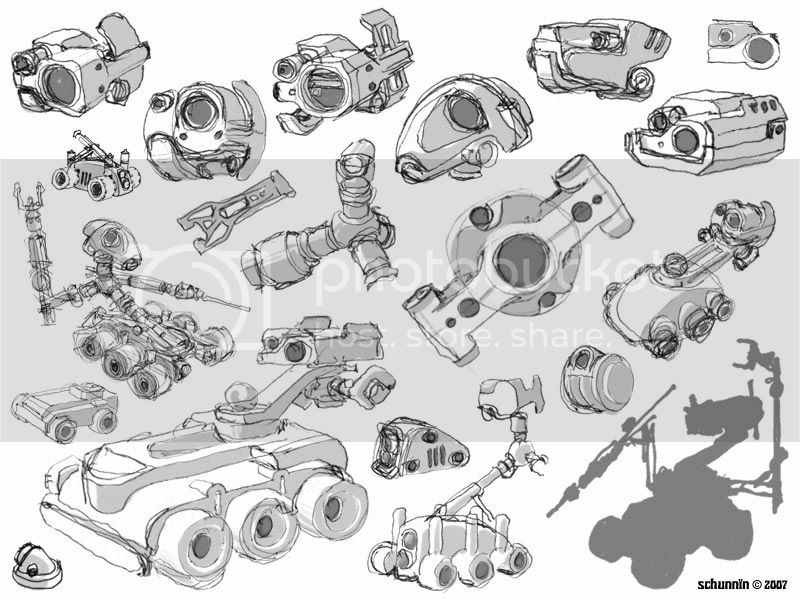 Maybe my sketches looks like a robotic vacuum cleaner, I'll be sorry about that. Last edited by Zutaiola; November 15th, 2007 at 03:42 AM. And thanks for the pointers Yoitisi, yeah I'll add a few things, Im also going to pay a bit more attention to the balloon bit too. Thanks for the comments yoitisi, I wasn't intending to do the full banner, but when I started drawing the robot, it looks a little odd to me that we couldn't see what he was staring at, and then it just took off from there. I will be putting some more details on the whole thing, not to worry! IDW #50: IDW Avatar - Maintenance Droid - Voting!